Genomic imprinting refers to a recently discovered phenomenon in which the expression pattern of an allele depends on whether that allele was inherited from the mother or the father. This difference in expression strategy correlates with differences in the epigenetic state of the two alleles. These epigenetic differences include DNA methylation at CpG dinucleotides, as well as modifications on the histones associated with the locus. In the simplest possible cases, the promoter region of the imprinted gene is methylated during oogenesis, but not spermatogenesis (or vice versa). This methylation (and its accompanying histone modifications) results in inactivation of the modified allele. Of course, most imprinted genes do not fall into this simplest case. 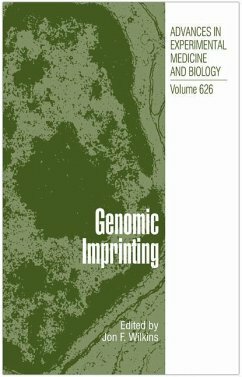 The goal of this book is neither to provide a basic introduction to imprinting, nor to provide a comprehensive survey of the current state of the field (which would necessarily span multiple books). Rather, the book covers on some of the more recent advances, with the goal of drawing attention to some of the emerging subtleties and complexities associated with imprinted genes.